Socorro “Cocó” Herrera was born in Mexico City in 1960. By age 22, Socorro graduated from Instituto de Estudios Superiores de Tamaulipas (IEST) where she earned a bachelor’s degree in accounting, and later her CPA license in Mexico in 1985. Mother of 2 children: Victoria and JorgeAlberto. “Being a mother has been my most important role” she said, and at the same time she has been a support to her husband, helping him with the opening of his accounting firm, Jorge Herrera, CPA, CIA, PC. Working with him in 1998, the South Texas Business Fund, a non-profit organization of the City of San Antonio, contracted them as outsourced professionals, handling their accounting services for 12 years, until it merged with another entity. Mrs. Herrera has been a QuickBooks Advisor for many years. Today, she is the accounting manager at her husband’s firm. 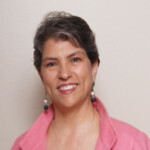 Her areas of expertise are: QuickBooks training and consulting, accounting employee training, and business consulting. Along with her husband, Mrs. Herrera has helped to build a successful practice in the South Texas area, as well as helping clients from different states and countries.